Same function – same product – different application. 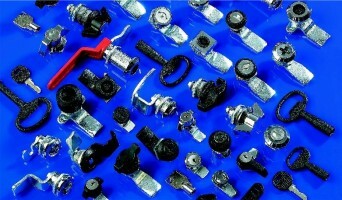 Although we have our roots in specialist cabinet hardware we have always been aware that much of our range finds application elsewhere – for example in the area of commercial and specialist vehicles our standard locks and latches find common cause with doors and panels – likewise sealing profiles and handles – often wingknobs or T and L handles. The thread is in the commonality of function and the design/manufacturing process that creates a common product suited for the demands of the electronic or electrical enclosure as well as the caravan, horsebox, coach or railway rolling stock. An excellent example of course is the development of compression locking technology which provides both enhanced seal compression as well as vibration resistance – offering a better seal with more secure closure. If you have a vehicle locking/ sealing/ hinging / handle problem – you may find the solution is a standard product from our enclosure hardware range – call us and see! Share the post "Same function – same product – different application."